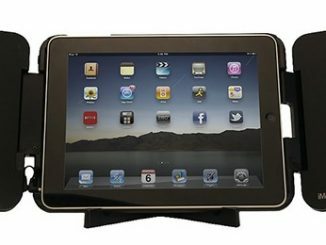 Yesterday we reviewed the iMainGo XP, a speaker case for the iPad/iPad2. 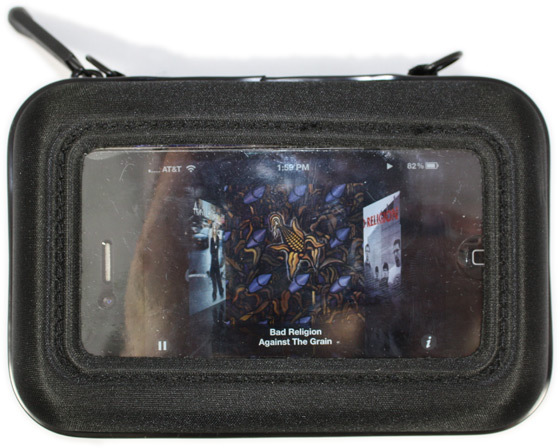 If you don’t have an iPad, but have an iPhone, iPod, or portable MP3 player, you’ll be more interested in reading this MainGo X iPhone Speaker Case Review. 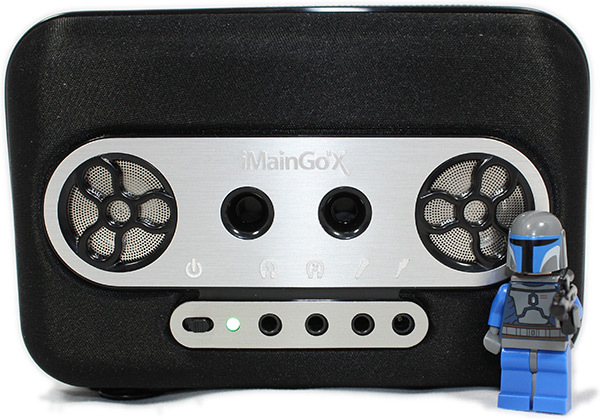 In short, the iMainGo X is a portable speaker case that can hold and protect your iPhone, iPod Touch, or other portable MP3 player, while providing substantially louder and fuller sound than the built-in speakers. Using the iMainGoX is simple. Just plug the 3.5mm plug into the headphone jack of your device, place the screen of your device to the window of the case, place the plastic cover on to hold your device, zip it closed, and turn it on. Through the clear window you can see your screen and operate touchscreen controls. The iMainGo X has an internal lithium ion rechargeable battery, so you don’t have to buy batteries. Just plug it into the included wall outlet charger to recharge it and enjoy up to 12 hours of battery life. With a very durable neoprene coating and brushed metal plates, the iMainGo X has a very solid and luxurious look and feel. 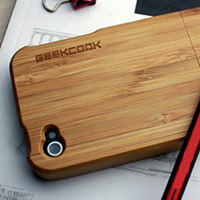 It is somewhat bulky for an iPhone case, so you won’t be able to put it in your jeans pocket. 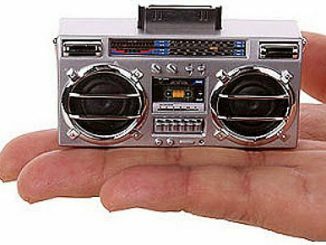 However, it weighs just 9 ounces and can easily fit in a purse or backpack. It also comes with a wrist strap and a larger strap, which make it easy to carry. 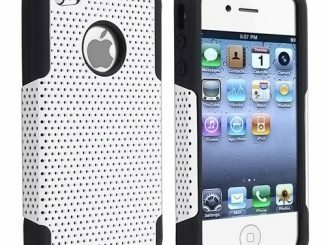 The case seems like it would protect your iPhone quite well if you drop it, and the neoprene skin is also water resistant. 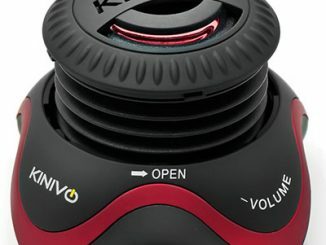 Improved sound is the real reason for buying a speaker case like the iMainGo X, and it really delivers louder, deeper, and clearer sound. After listening through the iMainGo X for a while, the built-in iPhone speakers sound incredibly flat and dull by comparison with a total lack of bass response. 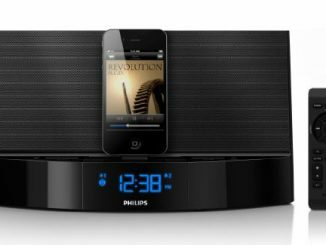 The iMainGo X is able to deliver this sonic excitement because of the quality technology which features two extra large 37mm premium high output stereo speakers, a premium state-of-the-art digital amplifier, and tuned bass ports. You can tell the bass ports really work, because when you cover them up you here a noticeable drop in the bass response. 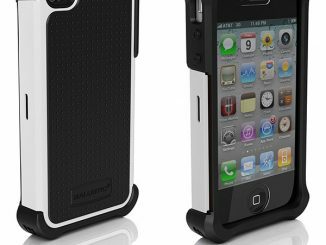 Since the iMainGoX holds an iPhone or iPod Touch, you already know its general size. However, I couldn’t resist the GeekAlerts’ tradition of including a picture with a LEGO Star Wars minifigure to serve as a size comparison. 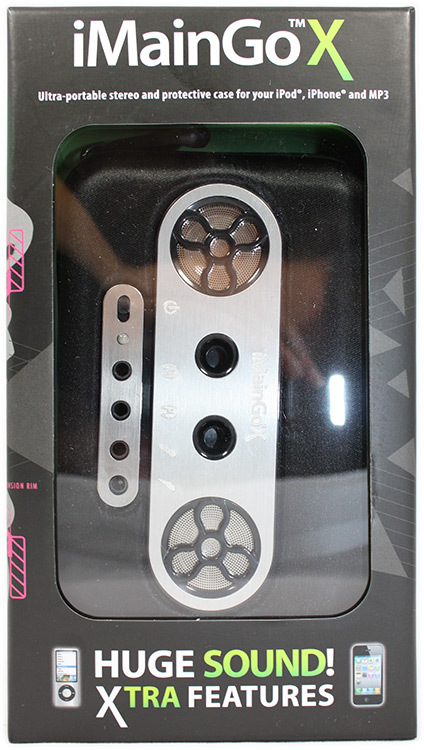 The review model that Portable Sound Labs sent us is black, but the iMainGo X is also available in pink. 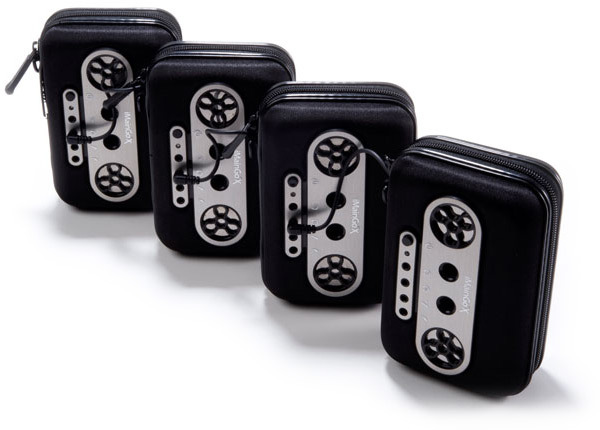 If you’re having a party and need louder volumes for dancing, you can daisy chain multiple iMainGoX speaker cases together for louder sound. You just need to convince each of your friends to buy one of these. 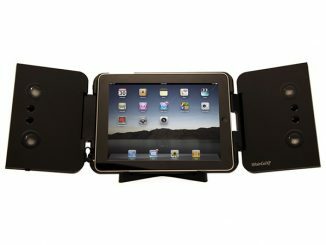 Even though an iPad will not fit inside an iMainGo X, you can still hook it up to take advantage of the premium speakers. 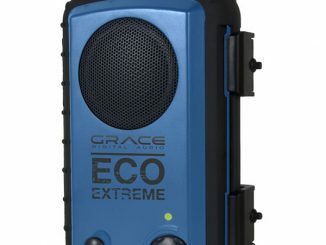 This also works with other electronic devices like laptop computer, portable game players, portable DVD players, etc. 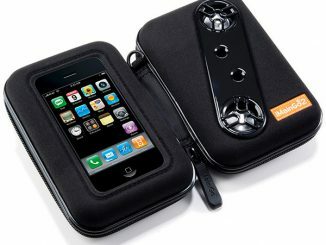 Besides for the fact that it won’t fit easily in your pants pocket, there are no significant drawbacks to the iMainGoX. 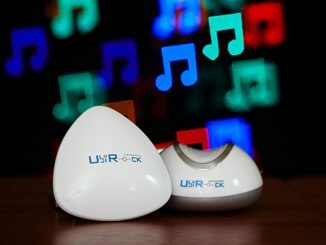 It is a great way to get vastly improved sound for your iPhone, iPod, MP3 player, portable game player, or other electronic device. Order the iMainGo X Black for $54.52 or the iMainGo X Pink for $69.95 with free shipping from Amazon.com. 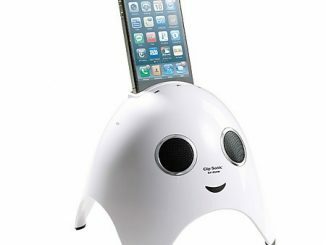 It is also available in black for $62.99 with free shipping at BestBuy.com. 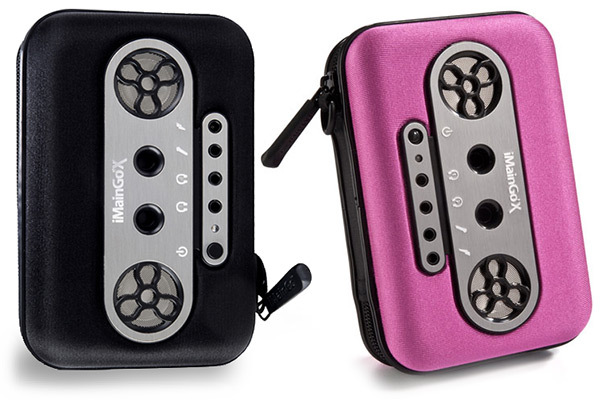 In addition, you can purchase the iMainGo X in black or pink for $69.95 directly from Portable Sound Labs, where you can save 20% off through December 12, 2011 by using the friends and family coupon code HH202011 at checkout.